"Trust and honesty are the keywords in our business, and that is what we provide." Tropical Properties is a one stop solution for all your property buying requirements, giving you advice, showing you around to all the relevant properties. 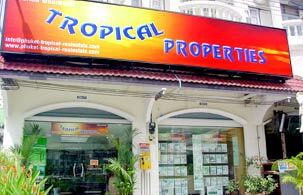 We will also guide you through the whole legal process that comes with owning and purchasing property in Thailand. Our service does not stop once the contracts are signed. We will give you an excellent "after service" and will assist you and guide you the best we can, to help you settle down in your new environment. Please kindly contact us if you need more information or have any questions about our service.